Buy your shirt(s) to support this beautiful young woman and her family in their FIGHT AGAINST ovarian cancer. All funds raised will go directly to Women At Rest . 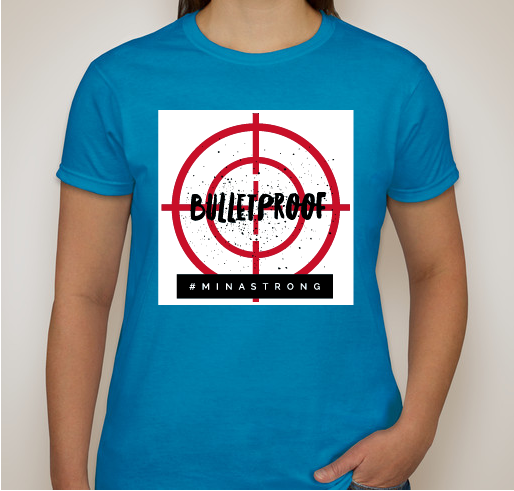 All profits from shirt sales will be sent to Women at Rest Ministries which will, in turn, assist the Tabers family in any way necessary as they battle on the front lines to the glory of the Lord and His perfect plan for Mina. Mina Tabers is a beautiful, smart, unassuming God-loving, 15 year-old girl who started having abdominal pain that caused her to go see a doctor, who quickly sent her via ambulance to the hospital, which then admitted her and scheduled her for surgery. Surgery revealed she had ovarian cancer that had spread throughout her abdomen causing them to remove her uterus, sigmoid colon, as well as parts of her omentum and liver. Mina will be undergoing chemotherapy for six months. Her spirit, tenacity, motivation, optimism and faith are unbelievably strong and contagious. We want to do everything we can to assist her in keeping that strength throughout this journey to her becoming cancer free and Victorious through Christ, which strengthens her and everyone around her. 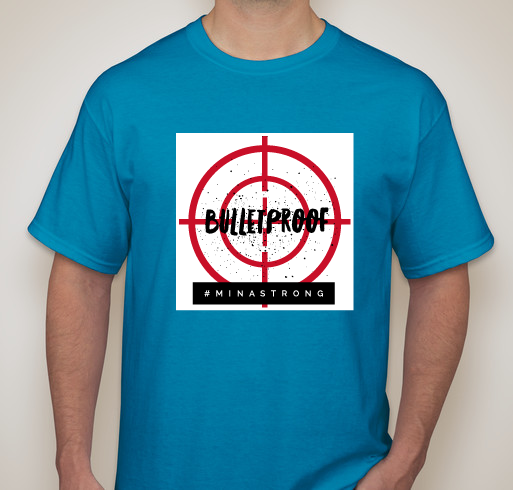 Please join the Bulletproof-Mina's FIght Club Facebook page to encourage her and receive updates. On behalf of the Tabers family, we thank you! I love you Sister Mina and I'm praying for you girl ! In prayerful love & support of Mina & her family as well as all those she is an inspiration to with praise to our Heavenly Father who gives us hope & strength daily. Praying for you always Mina! You've got this! 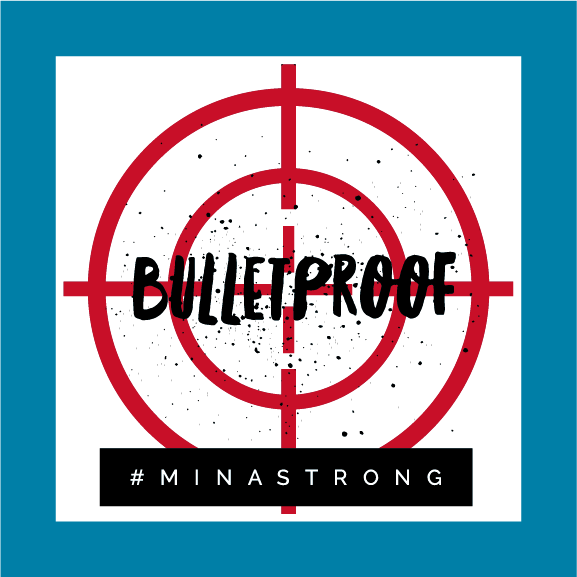 Share Why You Support "Bulletproof: Mina's Fight Club"